Liberalism is the ideology of western suicide. When once this initial and final sentence is understood, everything about liberalism – the beliefs, emotions and values associated with it, the nature of its enchantment, its practical record, its future – falls into place. His point is understood and often reiterated by the Right, especially by Pat Buchanan , but the aphorism is worth considering on a personal, as well as civilizational, level. If liberalism is the ideology of Western suicide, it stands to reason that Western liberals might be inclined towards suicide on an individual basis. 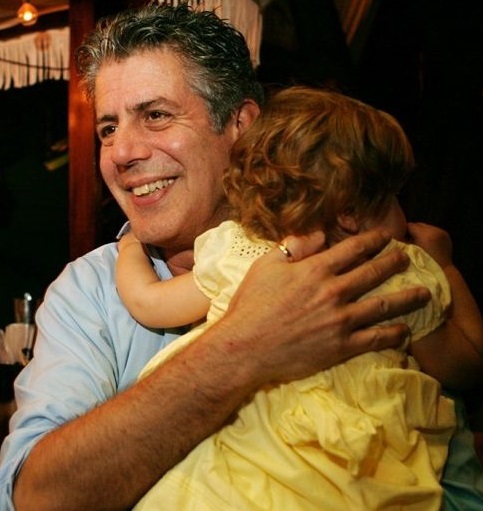 What often went unmentioned was that for all his empathy and humanity, Bourdain hung himself when his daughter, and only child, was eleven years old. Which brings to mind another prominent Leftist who committed suicide recently: Mark Fisher. Fisher was a British Marxian theorist best known for his dubbing of the current neoliberal status quo as “capitalist realism ” – which he begged humanity to reject in favor of whatever dreamed-up utopia. Whereas Marx claimed that industrialism was alienating, Fisher claimed neoliberalism was depressing, and he devoted a lot of work to framing contemporary mental health issues as a political problem caused by capitalism . In the end, Fisher lost his battle with capitalist-induced depression and killed himself. Afterwards, Fisher’s friends set-up a crowdfund  in an attempt to support the wife and “young son” Fisher had left behind to fend off neoliberalism by themselves. For all his talk about solidarity against capitalism, Fisher opted out of helping those closest to him. Kurt Cobain is a more famous, though less recent, example of this phenomenon. He was a kind of proto-Social Justice Warrior  who hated what he saw as a cruel and unjust world, but then one day decided to cruelly and unjustly cheat his toddler  out of having a father. Contrast this with the most famous suicide by a Rightist of our time: that of French veteran and historian Dominique Venner  in 2013. While he did have children, all were well into adulthood by the time of his death. Consider that Venner was 78 when he died; Bourdain was 61, Fisher was 48, and Cobain was just 27. Whereas Bourdain, Fisher, and Cobain all killed themselves in private agony, Venner’s suicide was a calculated political act. He chose to shoot himself in the Notre Dame de Paris three days after France legalized gay marriage – though, importantly, he noted  that France’s forthcoming Muslim majority would soon illegalize it again, and that this fate was worse than legalization itself. Venner sought to protest this in a manner as public and shocking as possible. It made a statement in a way that Fisher could have accomplished had he killed himself outside of a bank, or if Bourdain had done so in front of President Trump’s White House. On the one hand, you have a determined message; on the other, a selfish exit. The same is true of Yukio Mishima’s suicide . His death was planned, part of a political act and a cultural statement worthy of a man of the Right. Senator John P. East , on the other hand, was being ravaged by the miserable effects of polio and hypothyroidism when he took his own life. Whether you believe horrific physical ailments justify suicide or not, they certainly are more of a justification than doing so when you are healthy and have familial responsibilities. Bourdain, Fisher, and Cobain all decried injustice, inequality, and the like, but could not tough it out for the betterment of their own families. The excuse that depression and mental disorders distort one’s reality to such an extent that these men cannot be held responsible for their actions is just that: an excuse. We should not forgive or idolize any parent who flagrantly abandons their most sacred duty. In a sense, even putting duty aside, these men also abandoned love itself. Tragically, though, there is an appropriateness to these suicides. The aforementioned book by James Burnham asks why any people would want to establish racial preferences in both the workplace and schools that would run contrary to the interests of their own children. Why flood your nation with hostile races that will be antagonistic to your descendants? Why bring about wealth redistribution that will keep you from ensuring the comfort and security of your grandchildren? His thesis, that “liberalism is the ideology of western suicide,” answers all these questions at once. And if you’re willing to kill your nation with your politics, and leave it to the next few generations to try and sort out the mess, why not just kill yourself as well, and leave your kids to get over it?